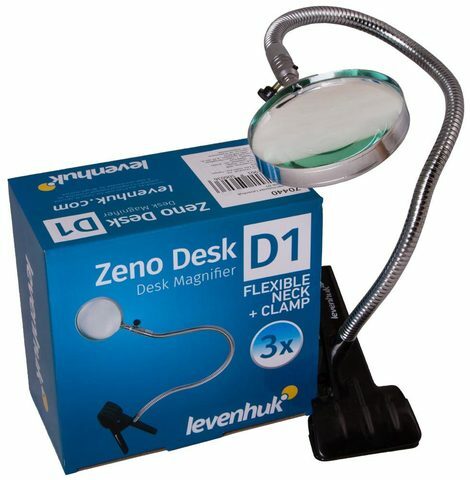 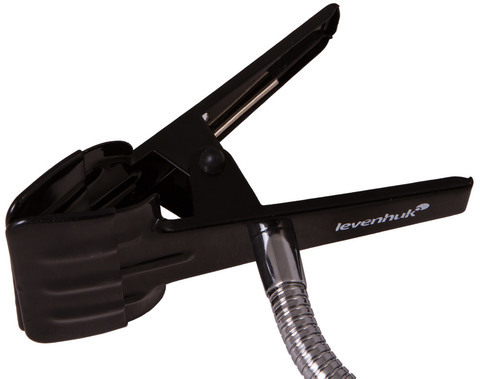 Levenhuk Zeno Desk D1 Magnifier is an optical device for comfortable longtime work with small items. 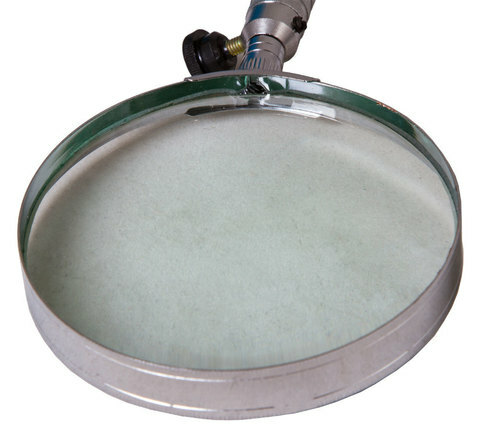 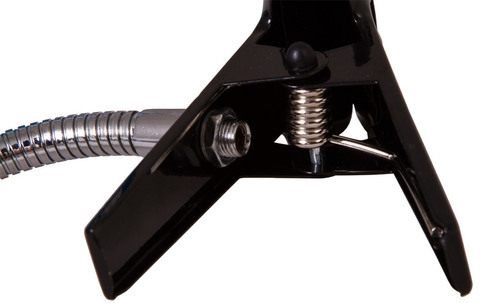 You can fix it on a table, shelf or any other surface over the field of view, using a special clamp. Levenhuk Zeno Desk D1 Magnifier will be helpful for reading, needlework, modeling, and any other type of work that requires high accuracy. 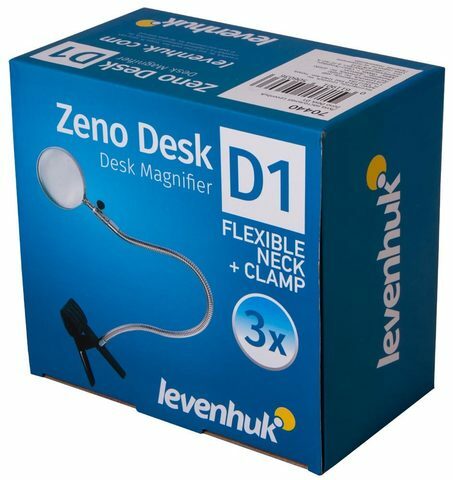 Its flexible neck is perfect for convenient longtime work. The lens provides 3x magnification and allows observing a field of view of 90mm in diameter. 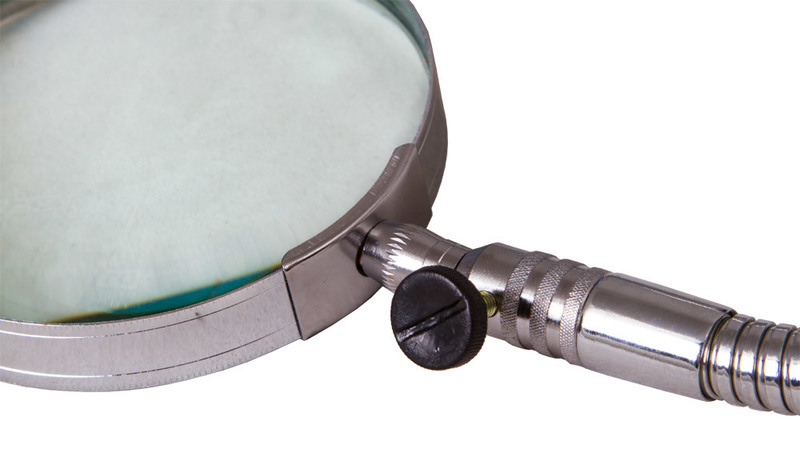 The lens is made of glass and yields a sharp, bright and contrast image.